Official Business | City of Drumright | Oklahoma's Boomtown! The structure described below has been determined to be DILAPIDATED by the City of Drumright (the “City”), pursuant to Title 11, Oklahoma Statutes, Section 22-112. An inspection was made on various dates by the Code Division of the City of Drumright. _X_ 1. Through neglect or injury, lacks necessary repairs or otherwise is in a state of decay or partial ruin to such an extent that the structure is a hazard to the health, safety, or welfare of the general public. _X_ 2. Is unfit for human occupancy due to the lack of necessary repairs and is considered uninhabitable or is a hazard to the health, safety, and welfare of the general public. Furthermore, it has been determined the above-mentioned structure has become detrimental to the health, safety, or welfare of the general public and the community, or that the property creates a fire hazard which is dangerous to other property. A HEARING WILL BE HELD BEFORE THE CITY COUNCIL OF THE CITY OF DRUMRIGHT, ON MAY 13, 2019, AT 7:00 P.M., IN DRUMRIGHT CITY HALL, 122 WEST BROADWAY, DRUMRIGHT, OK, 74030 to determine whether or not the structure(s) is/are (an) “dilapidated” as defined by Title 11 Oklahoma Statutes, Section 22-112, and has become detrimental to the health, safety, or welfare of the general public and community, or if the property creates a fire, and if the structure(s) is/are determined to be dilapidated, to order the dismantling and removal of the structure(s) by June 17, 2019. 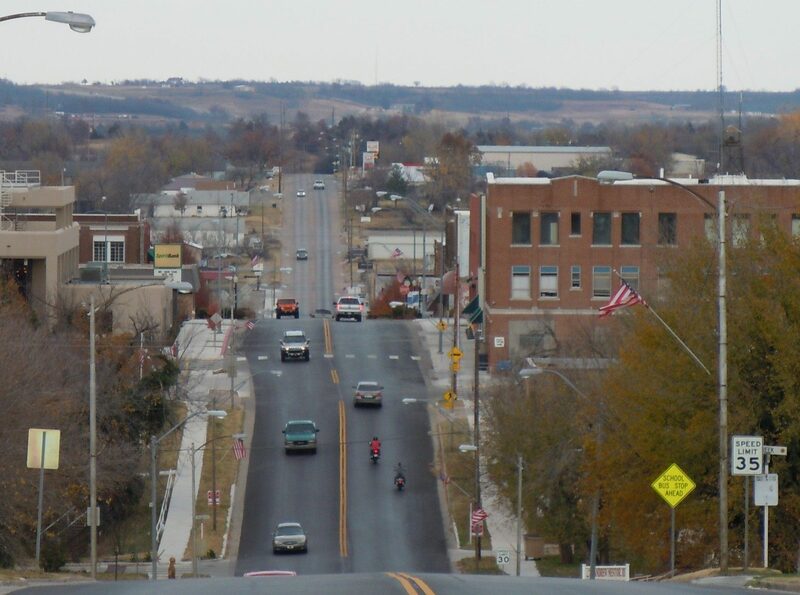 The City of Drumright will hold a Public Hearing at City Hall at 122 W Broadway St on Monday, May 13, 2019 at 7 p.m. regarding a variance request at 118 W Federal to allow Love, Inc to operate a Commercial – General operation at this location. The City of Drumright will hold a Public Hearing at City Hall at 122 W Broadway St on Monday, May 13, 2019 at 7 p.m. regarding a request to allow the resident at 817 N Harley to place a mobile home at this location. The resident is requesting placement of a 2018 Oakwood. The City of Drumright will hold a Public Hearing at City Hall at 122 W Broadway St on Monday, May 13, 2019 at 7 p.m. regarding a variance request to allow the resident at 740 E 6th St to place a mobile home at this location that is older than 15 years old. The resident is requesting placement of a 1982 Solitaire. 1. Discussion and possible action to approve the minutes from the March 11, 2019 regular meeting. 2. Discussion and possible action to adopt a 2019 CDBG-Community Development Block Grant Citizens Participation Plan for the City of Drumright. 3. FY 2019 CDBG Public Hearing on Community Development Needs in the City of Drumright. 4. Discussion and possible action regarding the selection of a project for the FY 2019 Community Development Block Program through Oklahoma Department of Commerce. 5. Discussion and possible action to adopt resolution 19-05 requesting assistance from the Oklahoma Department of Commerce for the FY 2019 Community Development Block Grant (CDBG) program. 6. Discussion and possible action to authorize the Mayor to sign the application documents for the FY 2019 CDBG application to the Oklahoma Department of Commerce. 7. Discussion and possible action to designate Shawna Jackson as City Clerk to submit all documents in OK.Grants.gov. 8. Discussion and possible action to approve a variance to allow the owner of 202 S Jones to grow marijuana (a light industrial business) at this residentially owned property. 9. Discussion and possible action to approve Resolution 19-02, Adopting a Safe Routes to School Policy. 10. Discussion and possible action to approve Resolution 19-03, entering a census partnership, and Resolution 19-04 creating a complete count committee. 11. Discussion and possible action to waive the firework stand fee for entities raising funds for the Drumright Public Schools. 12. Presentation of FY 2019 – 2020 Budget. Discussion and possible action to select a Budget Workshop date. 13. Discussion and possible action to vote for up to two trustees to the Oklahoma Municipal Assurance Group. 2. Discussion and possible action to approve spending $13,468 to secure a 6-inch gas main North of the truck bypass. 3. Discussion and possible action to approve spending $9,076 to secure a 6-inch gas main near the truck bypass. A Public Hearing has been set for Monday, April 8, 2019 at 7:00 P.M. at the Drumright City Hall at 122 West Broadway in Drumright to be held in conjunction with the regularly scheduled City Commission meeting. The purpose of the hearing is to receive recommendations on future community development needs within the City of Drumright. These recommendations will be considered by the Drumright City Commission in developing and approving a community development project to be submitted to the Oklahoma Department of Commerce for funding consideration under the FY 2019 Community Development Block Grant Program. The City may propose a project and request CDBG grant funds up to but not exceeding $450,000. Citizens are requested to participate in the hearing to express their views on these specific community development needs. The Drumright City Commission will incorporate any comments or proposals, where feasible, in the application to be submitted to the Oklahoma Department of Commerce on or around May 1, 2019. 1. Discussion and possible action to approve the minutes from the February 11, 2019 regular meeting, the February 11, 2019 emergency meeting, and the March 1, 2019 special meeting. 2. Discussion and possible action to approve appointing Jamie Osterhout to the Creek County Planning and Zoning Board for Rural Creek County. 3. Discussion and possible action to nominate Mark Whinnery to the Board of Trustees for the Oklahoma Municipal Assurance Group. 4. Discussion and possible action to approve an extension request by Sonya Viers for more time to remove a mobile home at 200 E 5th St.
5. City Financial Report. – Discussion and possible action to approve. 1. Discussion and possible action to approve the minutes from the February 11, 2019 regular meeting. 1. Discussion and possible action to approve the minutes from the February 11, 2019 regular meeting and the March 1, 2019 special meeting. 2. Discussion and possible action to approve purchase of a water leak detector. 1. Discussion and possible action to hire an appraiser to determine the value of the physical plant of the Drumright Regional Hospital, the value of the Critical Access Hospital designation, and the value of the right to operate the hospital, subject to reimbursement from the Drumright Memorial Hospital Foundation. 2. Discussion and possible action to approve payment of legal bills regarding the receivership of the Drumright Regional Hospital. 1. Discussion and possible action to approve a proposal from American Water Solutions regarding making Water Treatment Plant filtration improvements in the amount of $281,258. 1. Open Public Hearing regarding a variance request to allow the owner of 202 S Jones in Drumright, OK to grow marijuana (a light industrial business) at this residentially zoned property. Public Hearing closed. 2. Discussion and possible action to make a recommendation to the Drumright City Commission regarding a variance request to allow the owner of 202 S Jones in Drumright, OK to grow marijuana (a light industrial business) at this residentially zoned property.